Camera not (completely) broken | What? Why Bother? This entry was posted in Photography, Rant and tagged broken, camera, diana mini, lomo, lomography, shutter, shutter release, snapped. Hi. The trick to taking the camera to bits is to remove the shiny metal ring from around the lens – the one that was the distances marked on it. there are screws underneath. I don’t think the shutter lever is repairable, it seemed like any glueing would snap after moderate use. 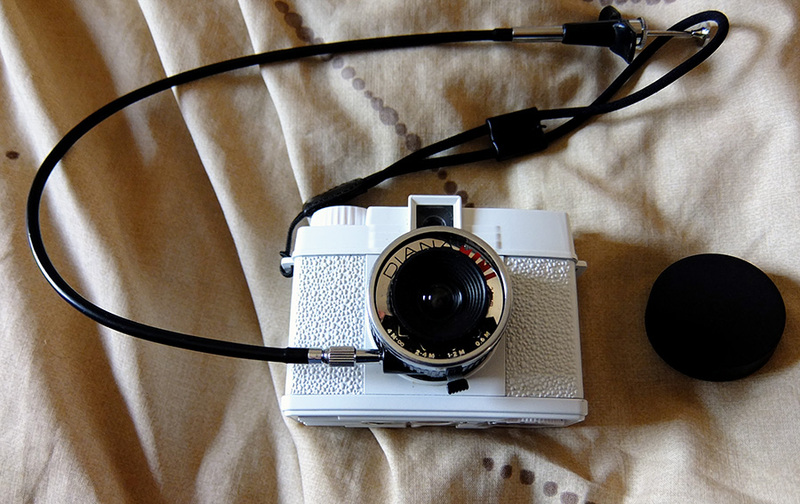 I just use a short cable release, which still operates the shutter. I didn’t take any photos of the disassembled Mini, sorry. the best of luck with that! I think plastic is too weak for the job the lever does, I’m amazed more don’t snap.